Business Consulting | F.H. Black & Company CPA Inc.
Management tools to grow your business. FHB provides sound management advice to strategically position your company for success. Our breadth of knowledge in virtually every area of business allows us to effectively address challenges that require professional judgment and expertise. Our professionals work with you to provide both short and long-term solutions by getting to know all aspects of your business. We look at your business in its entirety and identify where you can become more efficiencient and eliminate redundancies. If you have a great business idea, we can help you get it off the ground. Our consultants specialize in all facets of business, and can conduct a feasibility analysis and market study to determine the viability of your idea. We’ll help you prove that your business idea is sound and assist you in developing a business plan. A business plan is key to securing financing from the bank, and will help you determine hard costs and ongoing funds required to sustain the business. Defining your business direction is vital to growth and success. A strategic plan guides you in making decisions that will move you closer to the goals you’ve set for your business. Our consultants will work with you to evaluate where your business stands, where you want it to be, and how you’ll get there. The business strategies we develop help business owners allocate resources tactically to achieve its objectives. A solid financial strategy allows you to plan how you will fund your strategic objectives. Our consultants are experts in finance who will assist you in forecasting the funds needed and help you implement measures to achieve your strategic objectives. We’ll help you find ways to maximize profit while minimizing costs, establish stable cash flows, and diversify your sources of capital through a funding mix. As a business owner, executing your strategies can be difficult when you have competing priorities. Our consultants can be contracted on an as-needed basis to ensure your organization’s objectives are fulfilled. We work as an extension of your executive team to keep your strategy on track and your business growing. Plan for the future with financial projections prepared by our expert CPAs. We’ll conduct an in-depth review of your past and current financial data and create a predictive model that demonstrates short and long-term projections. The way your business is structured has a significant impact on your ability to achieve objectives. It is important to have an organizational structure that outlines the ranking of all organizational positions. Delegation of routine tasks to subordinates throughout the organization should be outlined such that Management can focus on the big issues/decisions needed to meet the organization’s objectives. We can assist you in determining what your organizational structure should look like based on your unique business and objectives. If you’re planning to acquire or partner with another company, FHB can conduct an independent review to determine the value of assets and liabilities of your target acquisition, and provide an opinion about the quality of the investment and the potential for future profitability and growth. Our consultants can also help you transition your finances, taxes, HR protocols, and virtually any other business area. If you are planning to sell your business or retire, FHB can work with you to develop a solid business succession plan for your exit strategy. Our team will assist you with maximizing your company’s value/selling price, transitioning ownership and related tax planning strategies. Our team of professionals is well versed in the ins and outs of the Manitoba Employee Share Ownership Program. The Employee Share Ownership Program offers current employees financial support in the form of a tax credit (up to 45% of the share purchase price) to buy in and own a portion of a business in which they are employed. FHB has been actively involved in the preparation and filing of corporate ESOP applications, assisting many of our clients with succession plans that include transferring all or a portion of their business ownership to employees. Looking to retire? We can help you with your retirement after tax cash flow plan, to ensure your desired post-retirement lifestyle can be met. Incorporating your business comes with a whole new set of financial reporting and CRA compliance obligations, and can also have significant income tax implications if not handled correctly. FHB can effectively help you navigate through this process to ensure all requirements for your business are met. Our client is one of the leading residential and commercial alarm installation and monitoring companies in Western Canada. Despite its successes in industry, management had become aware of inefficiencies from within the organization resulting in excess wages, poor inter-departmental communication, slow collection of customer accounts receivable, and infrequent financial reporting. The company engaged FHB to perform a thorough assessment of its staff and its existing accounting and administrative processes. For several weeks our team walked through all of the accounting and administrative processes with our client, and performed interviews with the staff involved for an understanding of all task assignments. We submitted a comprehensive, 60 page report to management, outlining identified areas for improvement. Following the review of our report, management further tasked FHB with the implementation of our reported recommendations and engaged FHB to fulfill the positions of Interim Controller, Senior Accountant and Accounts Receivable Manager. 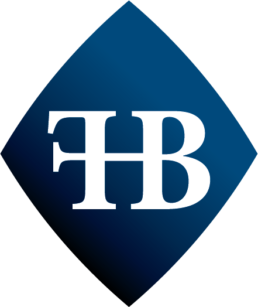 FHB has successfully implemented the recommendations resulting in significant cost savings following termination of redundant positions, a noteworthy increase in accounts receivable collections, an overall improvement to workflow efficiency and communication between all departments, and consistent financial reporting based on which management can assess company performance. While our involvement continues to be ongoing, the client has expressed happiness with our Firm involvement to date, and continues to engage us as needs arise, as a further demonstration of their confidence in FHB.